It appears that The Fabulous Lipitones is starting to get legs. Here's a review of a new staging in Seattle. The Fabulous Lipitones is about an over-the-hill Midwestern barbershop quartet. 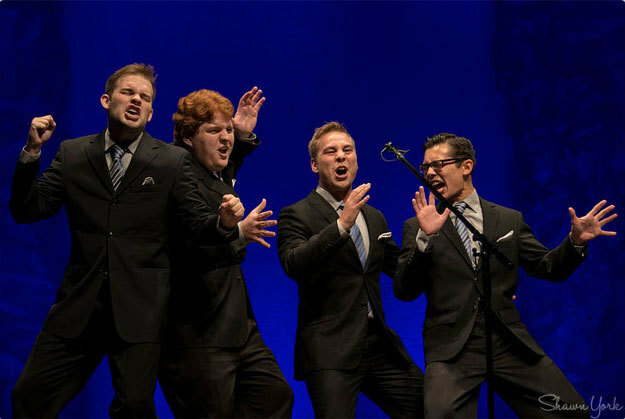 Created by Goodspeed Musicals in Connecticut, Lipitones is chock full of groan-inducing humor (the group’s main rival is The Sons of Pitches) punctuated by barbershop tunes that hearken back to the ‘50s and ‘60s. When one of the quartet unexpectedly dies right before the national competition, the group is desperate for a lead tenor. By accident they hear “Bob” singing over the phone and think they’ve found their much-needed fourth. Full review: Sweet Notes from Taproot’s “Fabulous Lipitones” - FeetFirst.